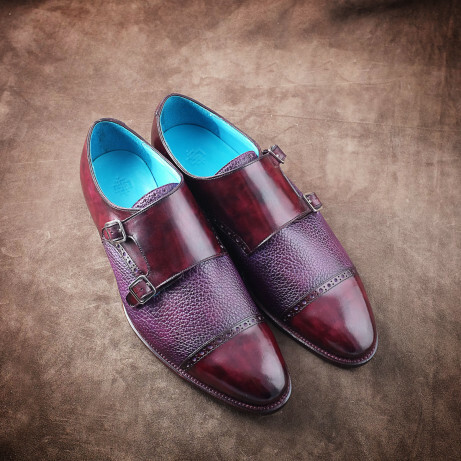 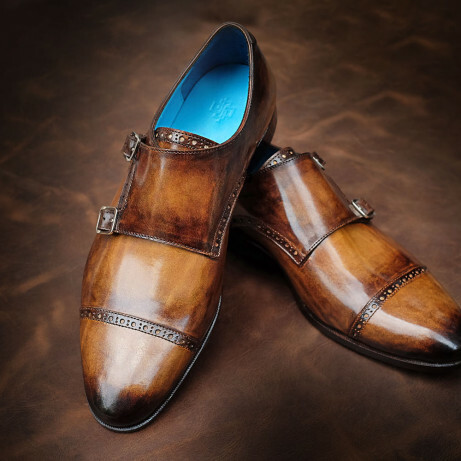 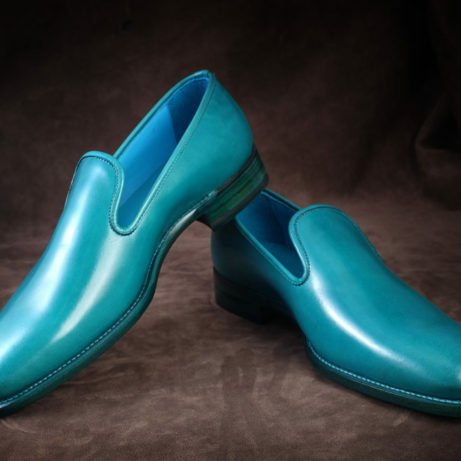 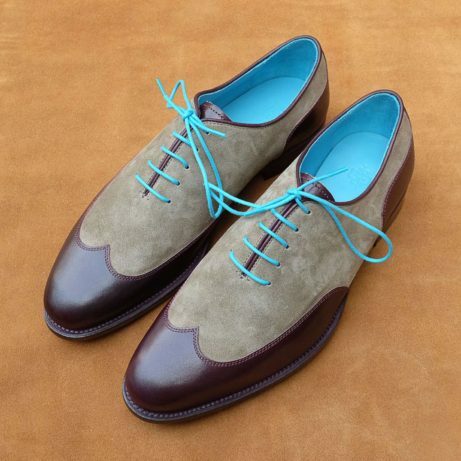 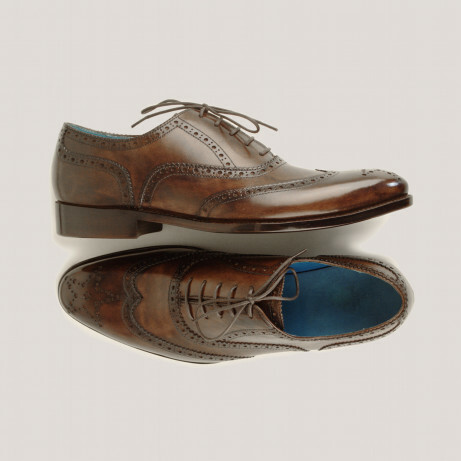 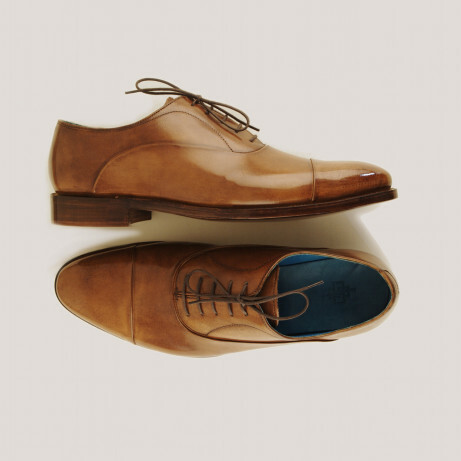 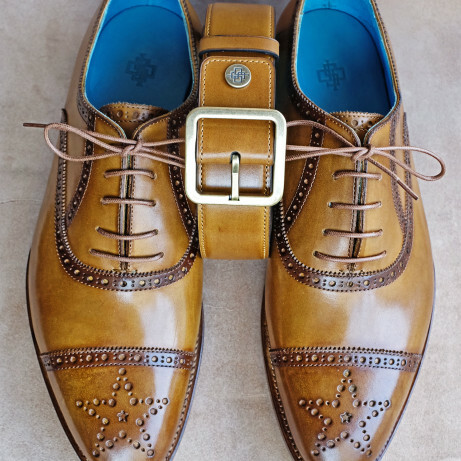 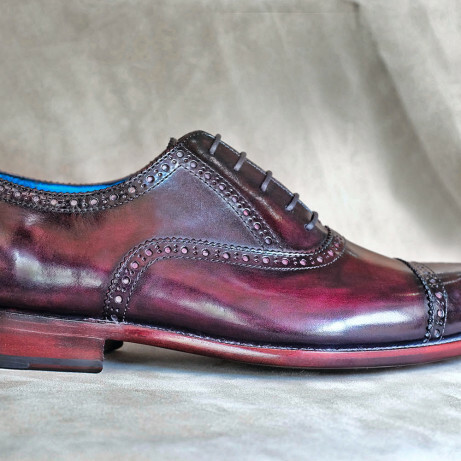 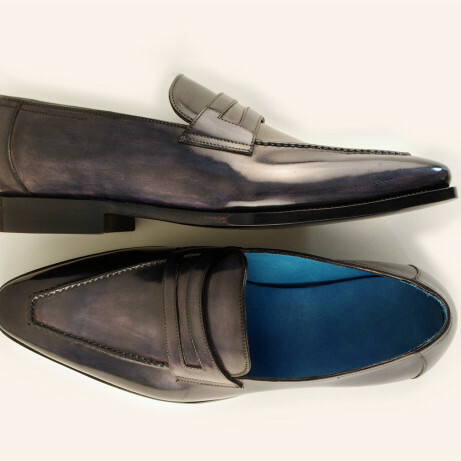 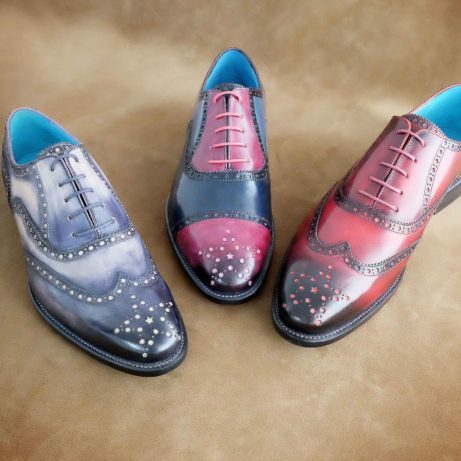 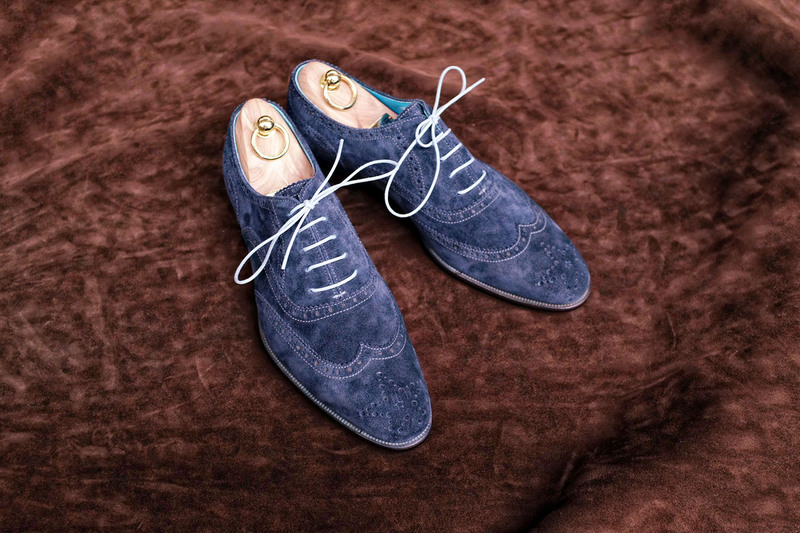 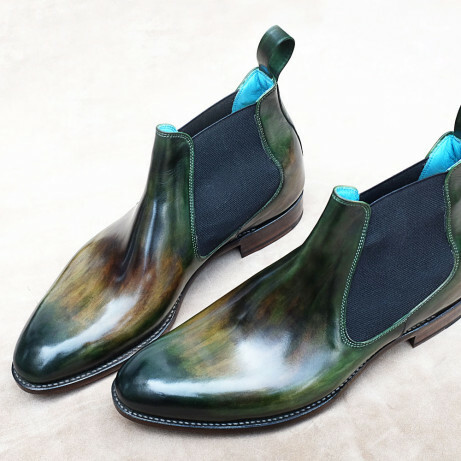 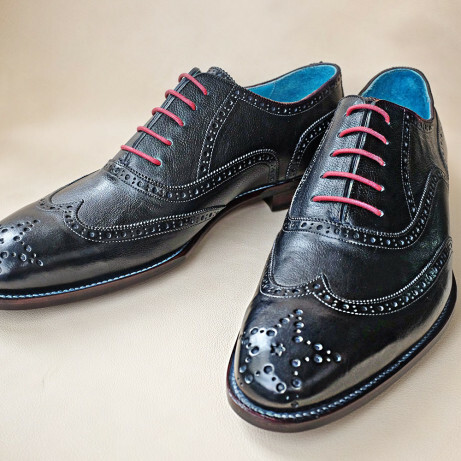 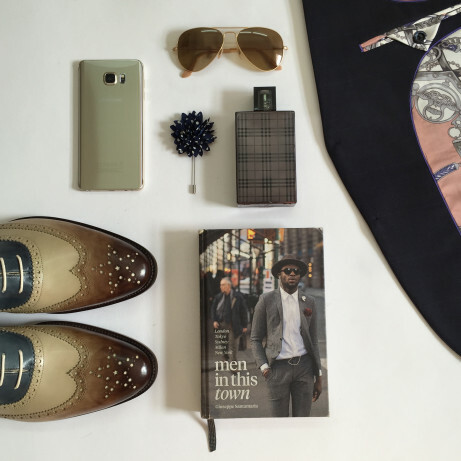 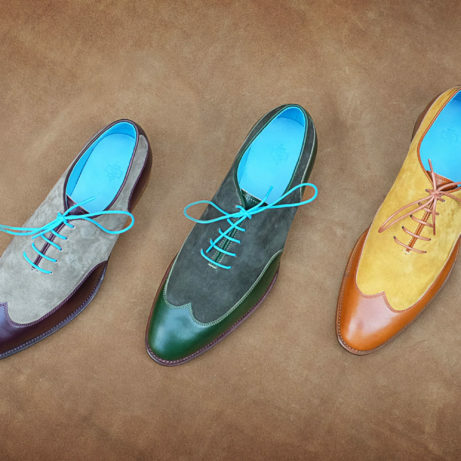 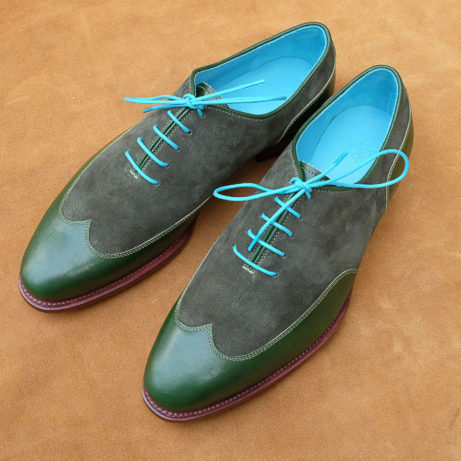 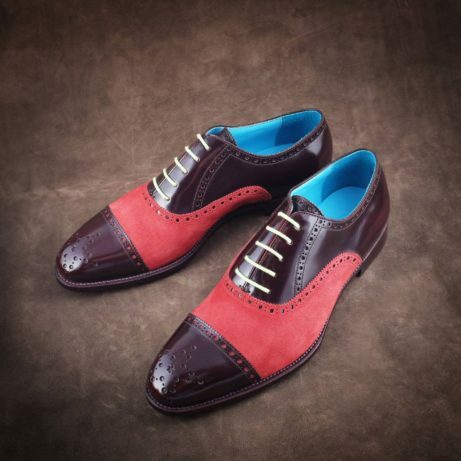 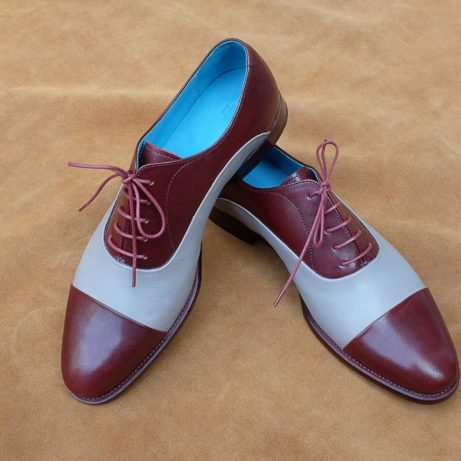 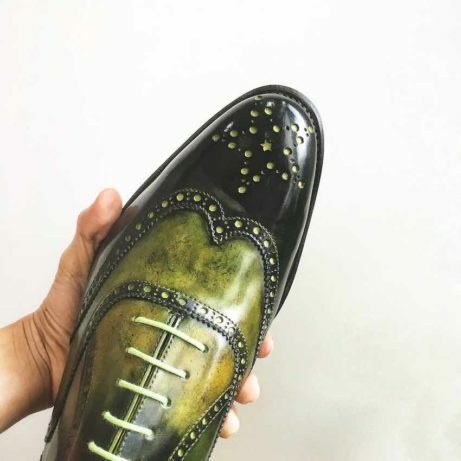 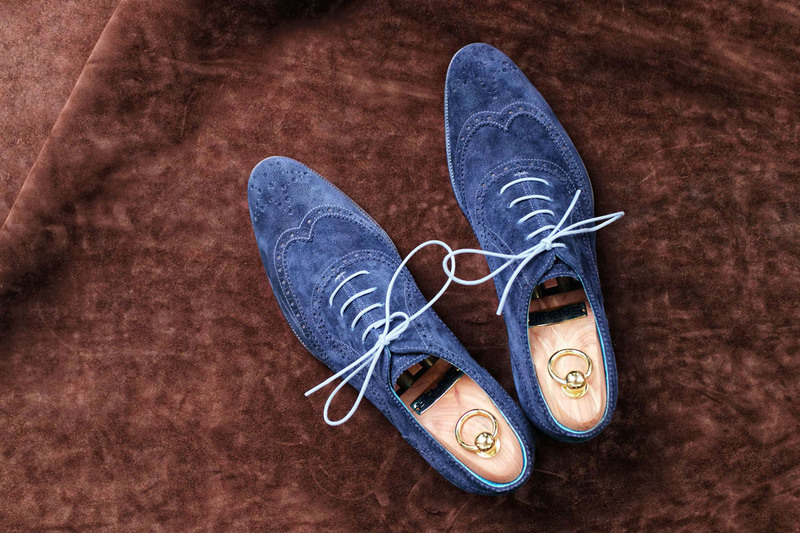 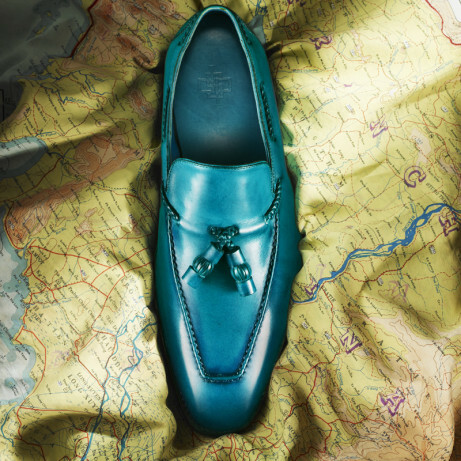 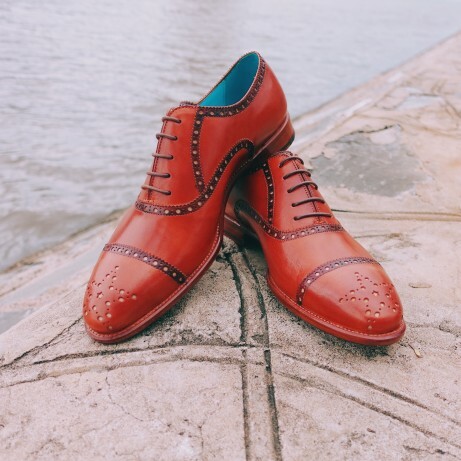 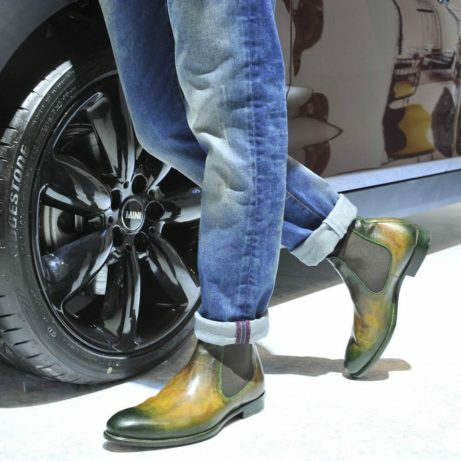 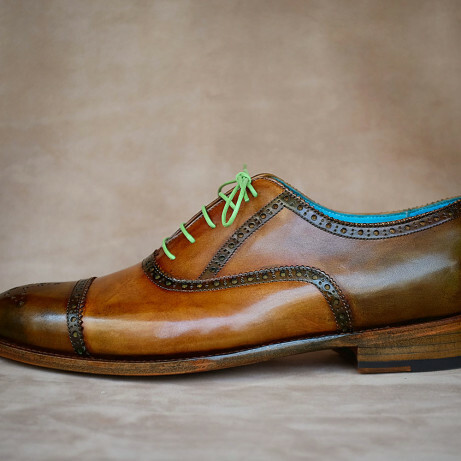 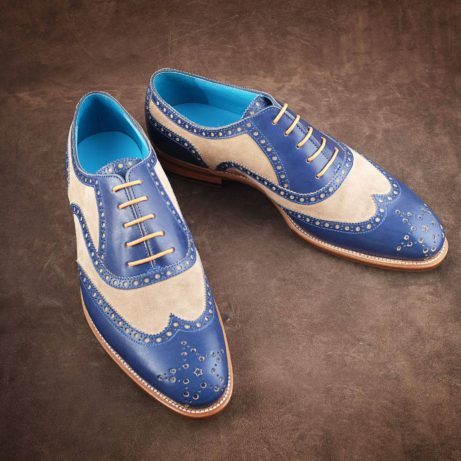 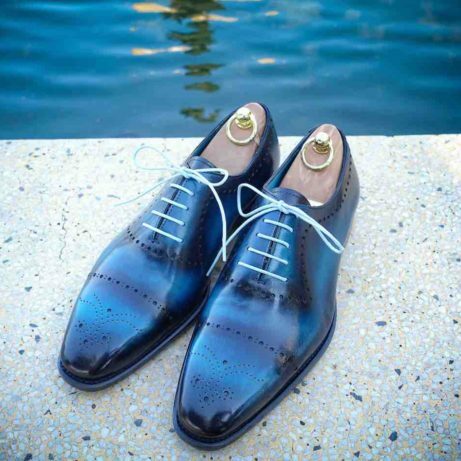 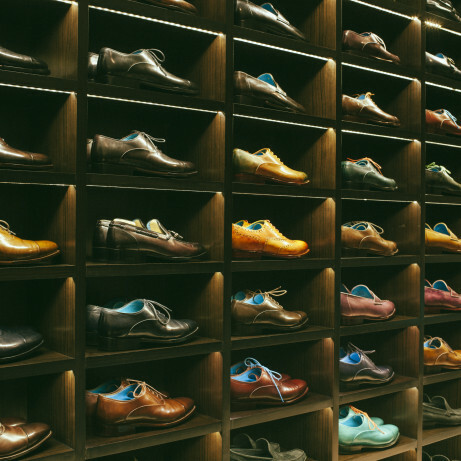 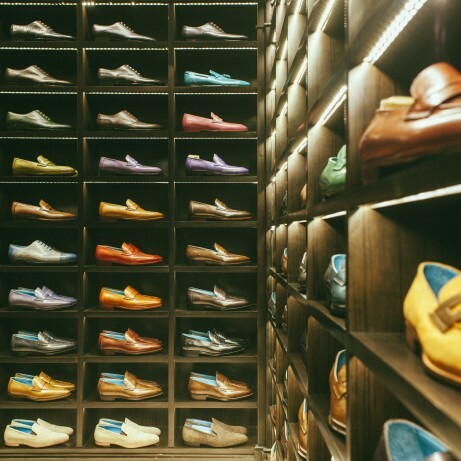 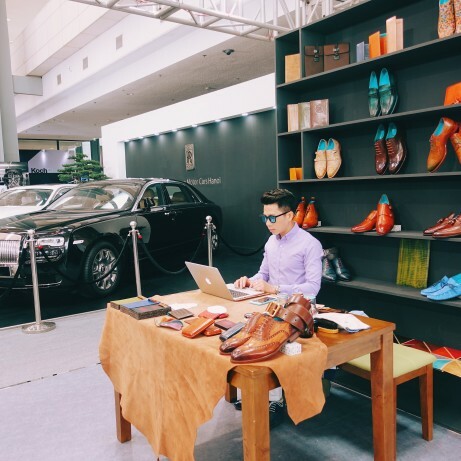 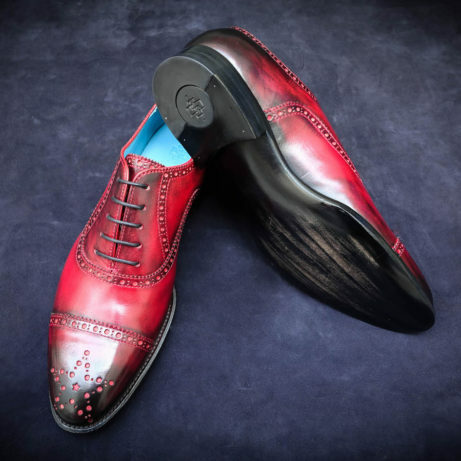 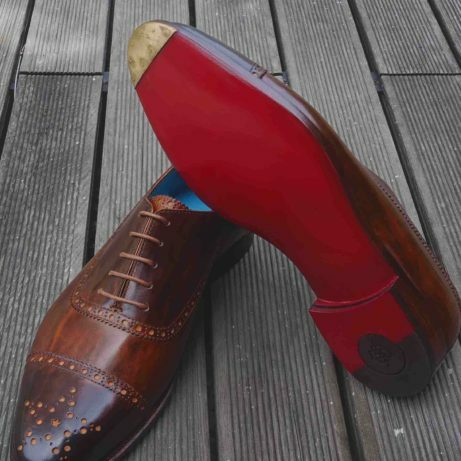 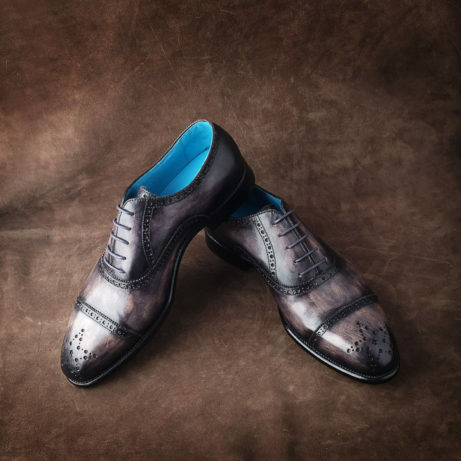 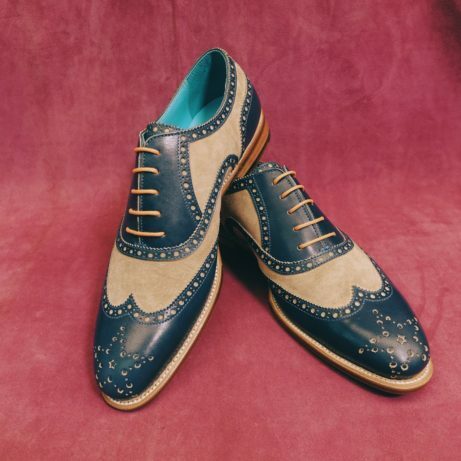 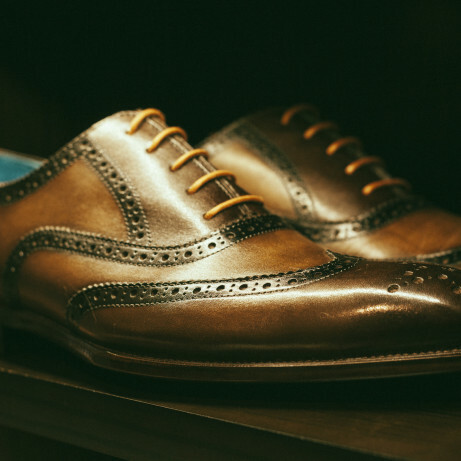 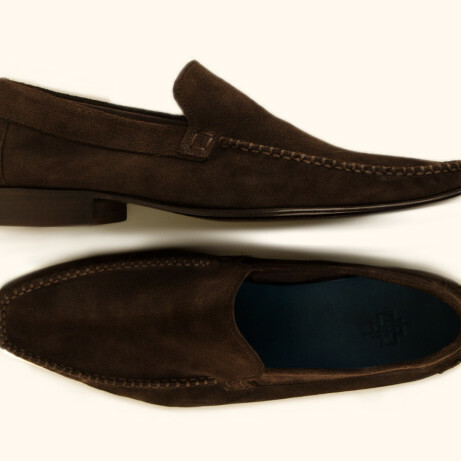 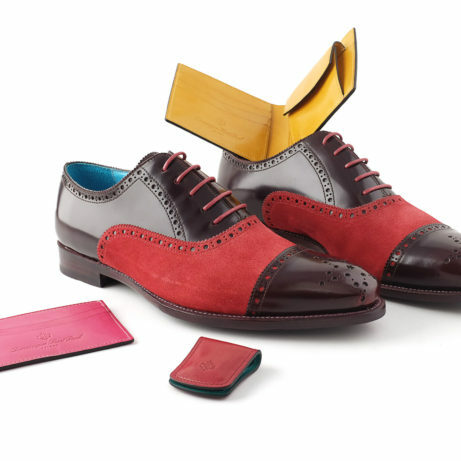 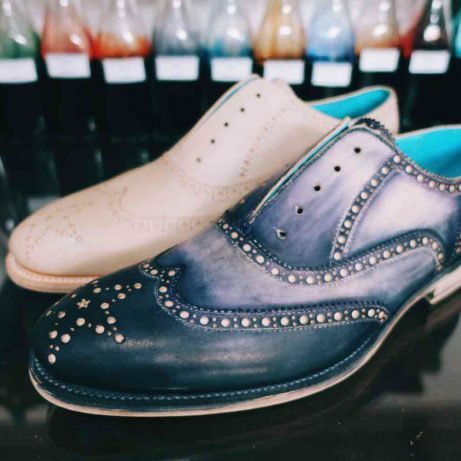 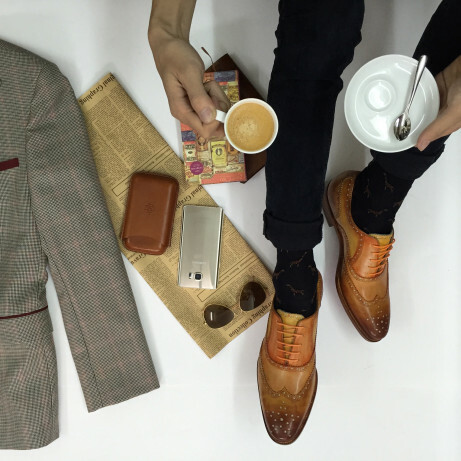 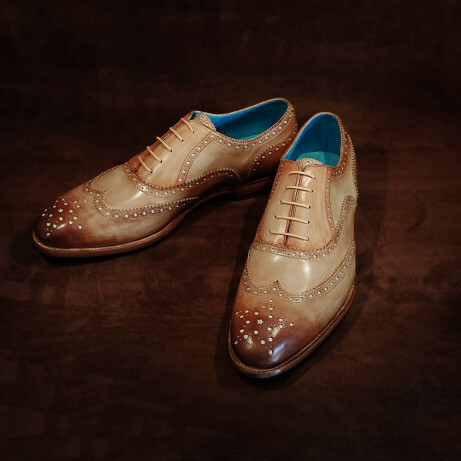 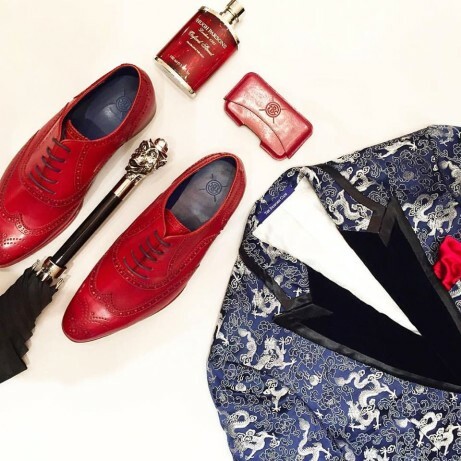 Full brogue shoes personify in a single shoe style everything that is good about traditional mens dress shoes. 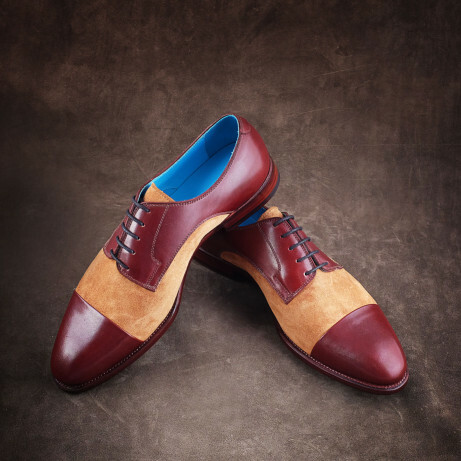 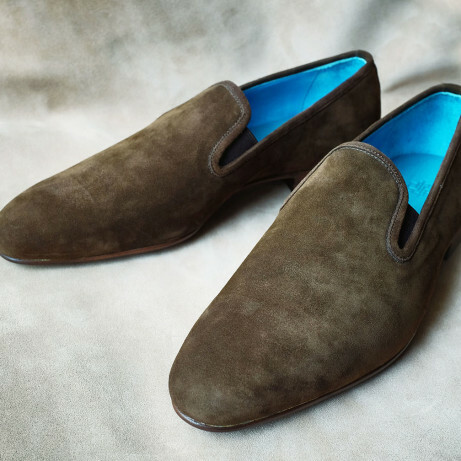 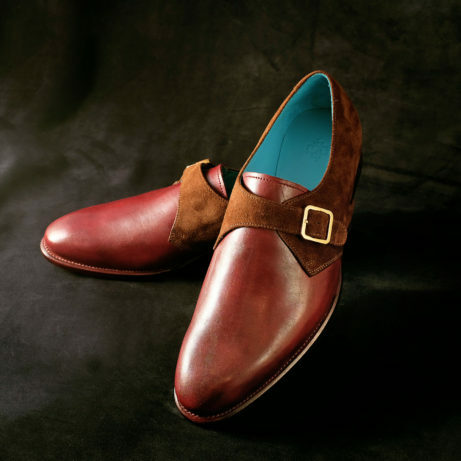 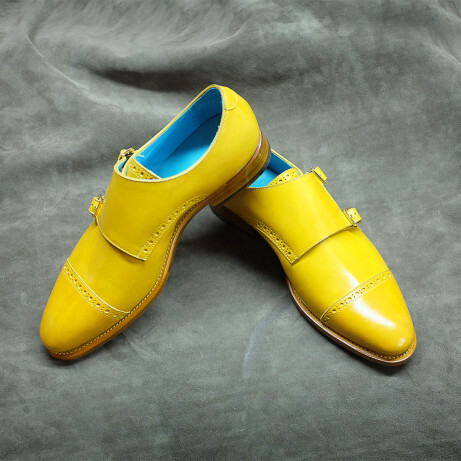 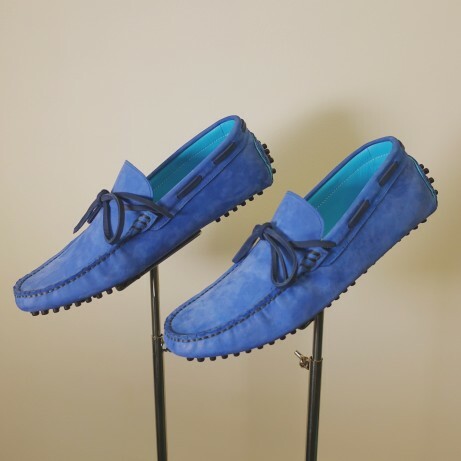 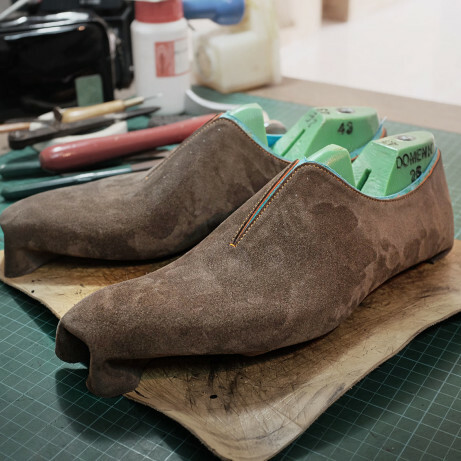 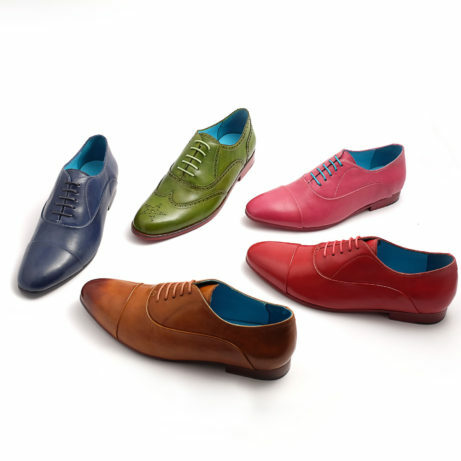 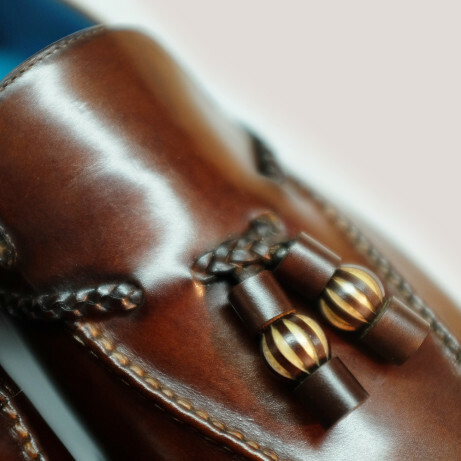 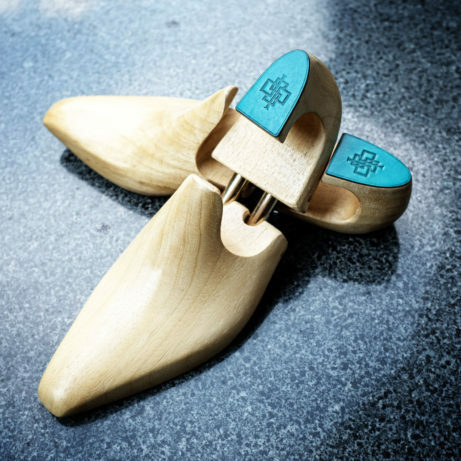 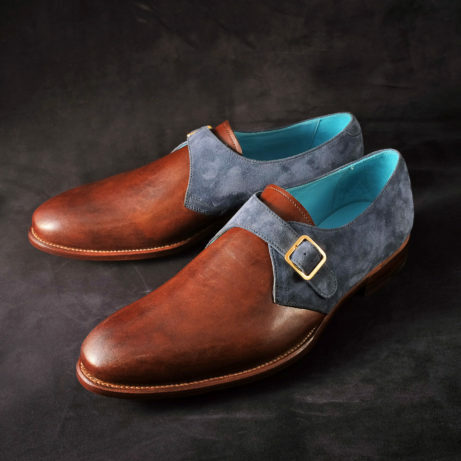 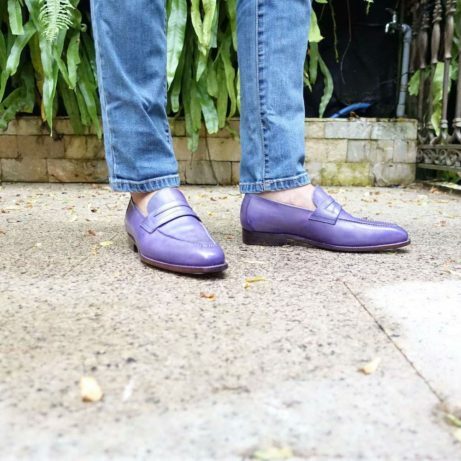 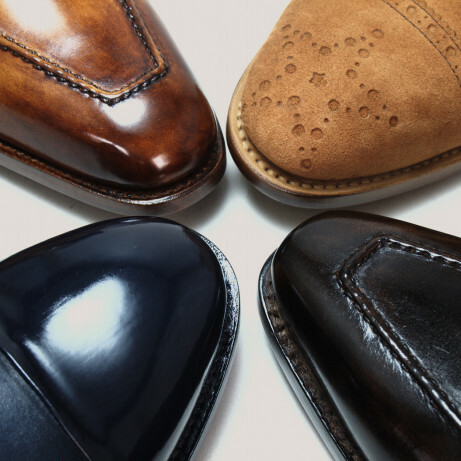 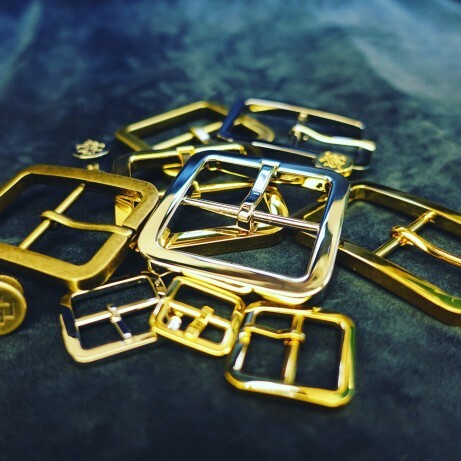 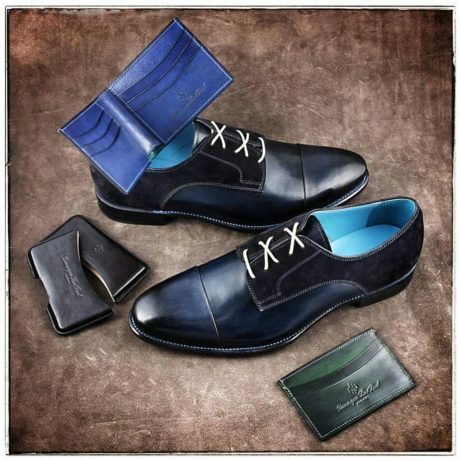 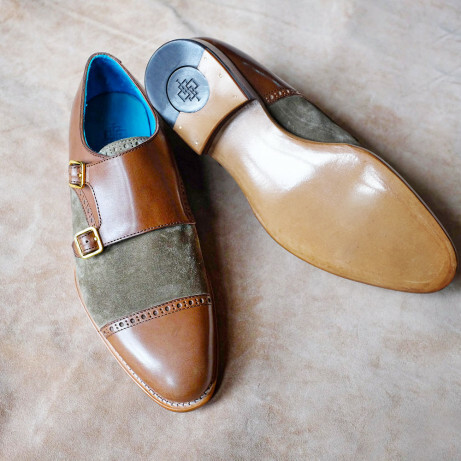 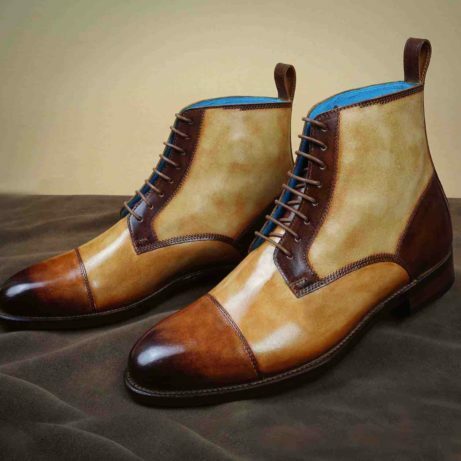 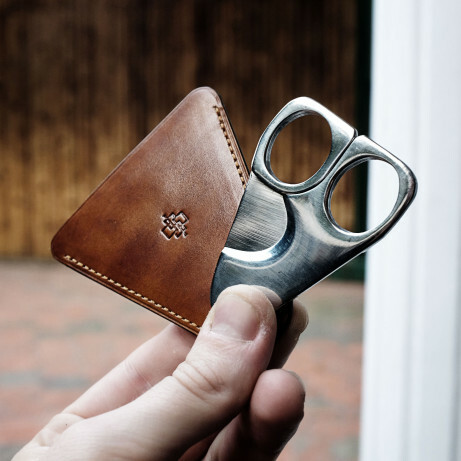 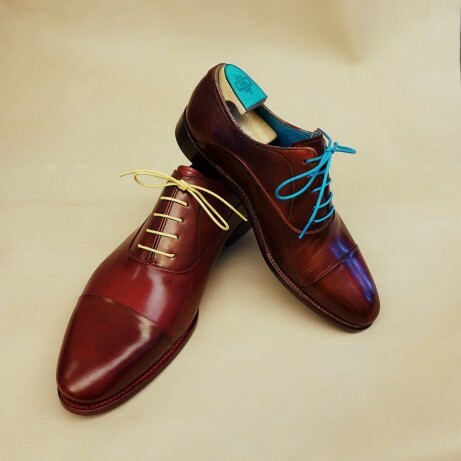 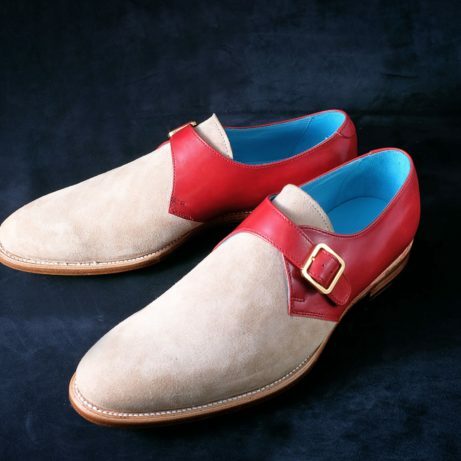 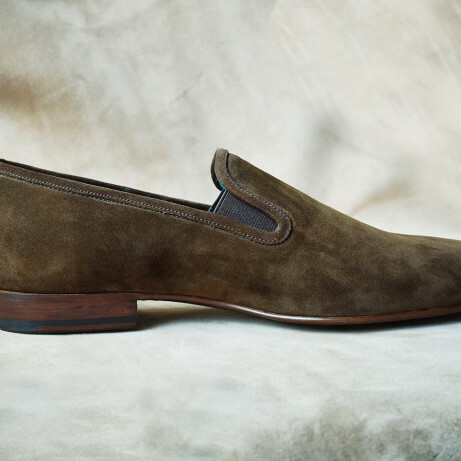 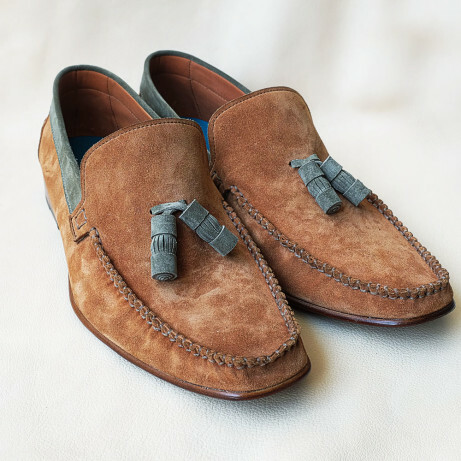 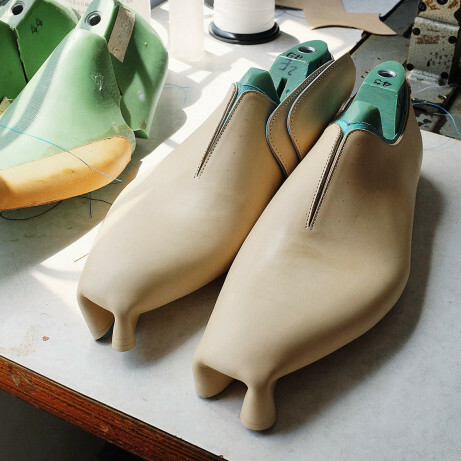 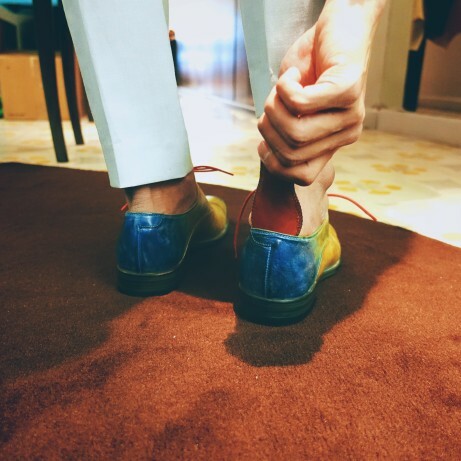 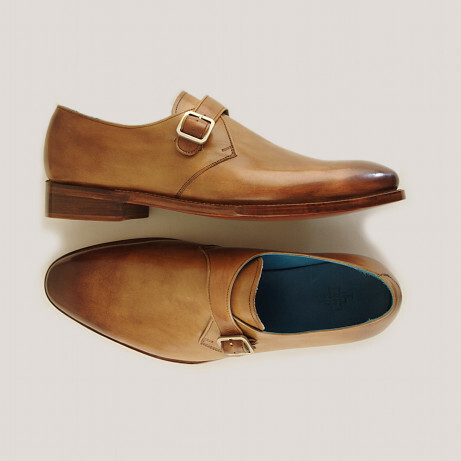 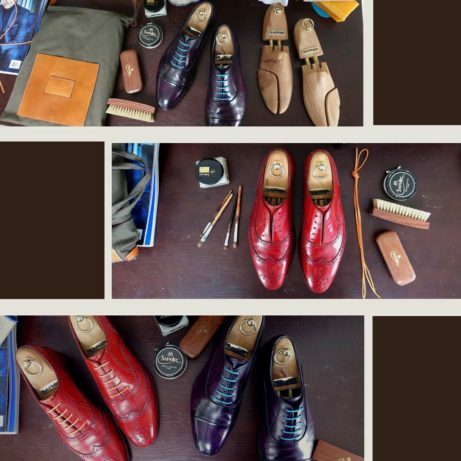 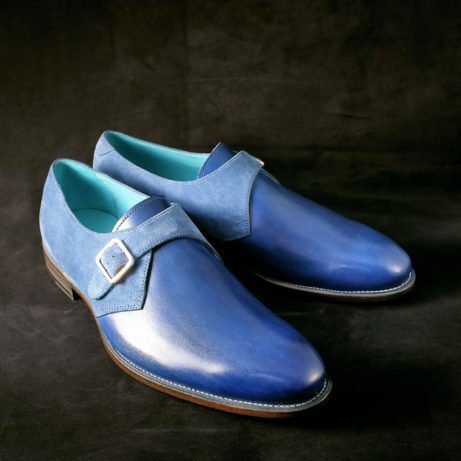 Our hand crafted and artisan made shoes come in many styles. 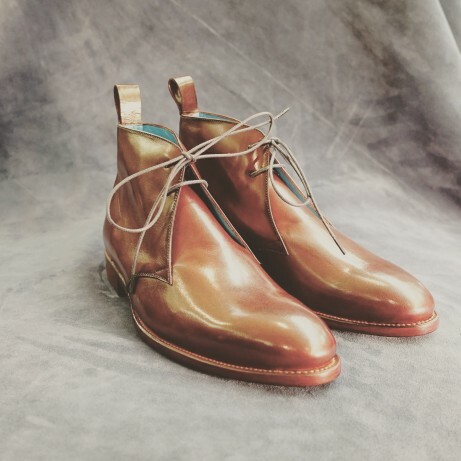 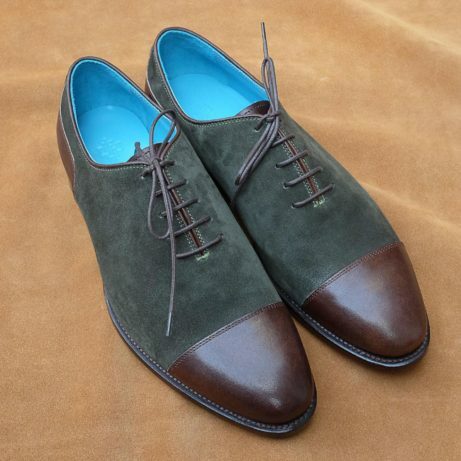 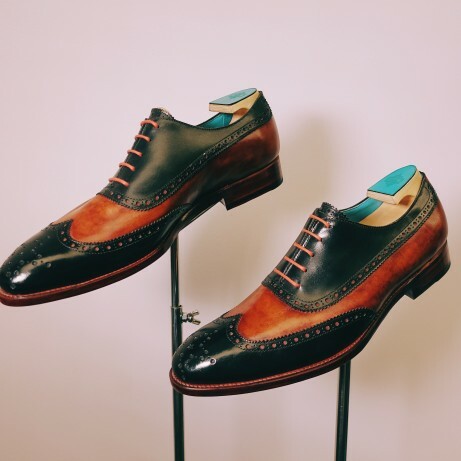 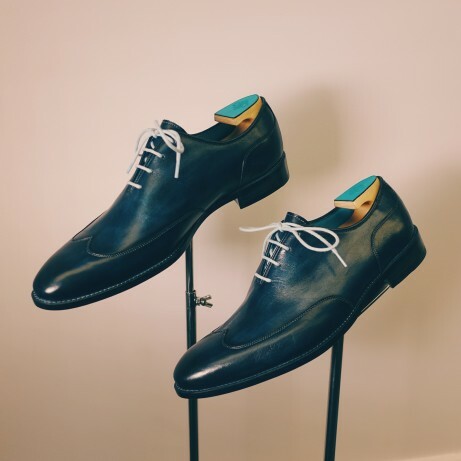 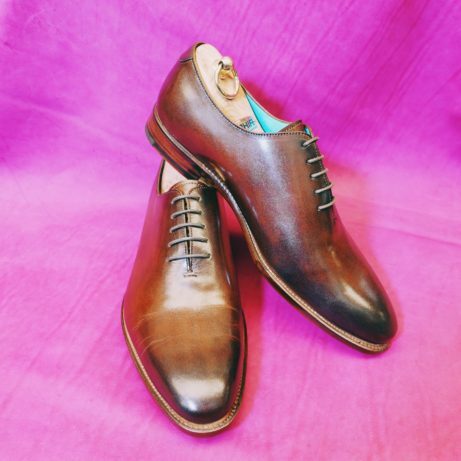 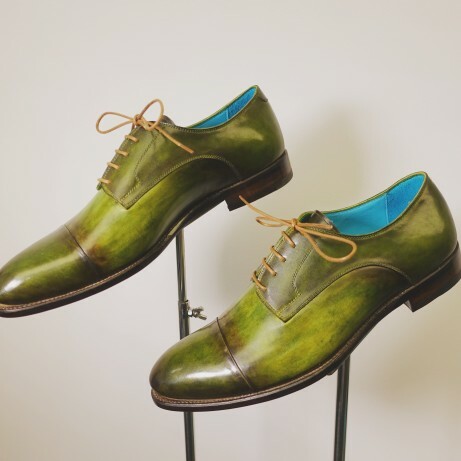 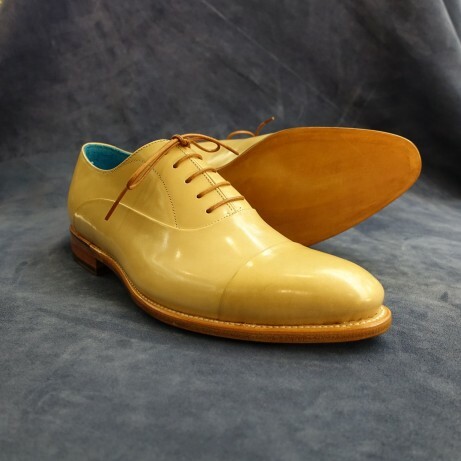 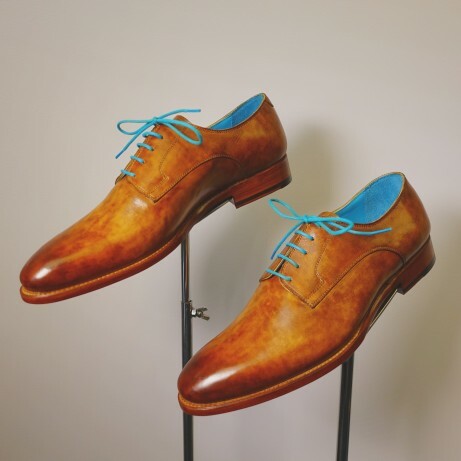 Aside from full brogue shoes we make also plain Oxfords with toe caps, Derbies, whole cuts, single and double monks and boots (Chelsea boots and chukka boots). 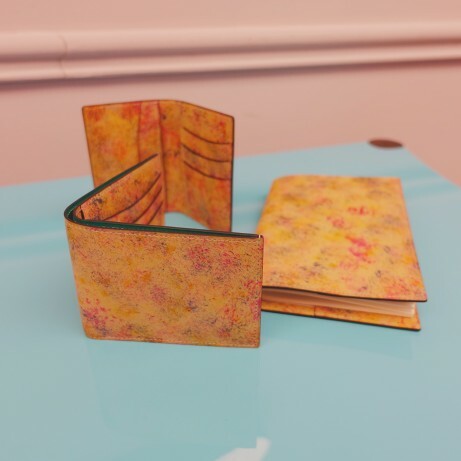 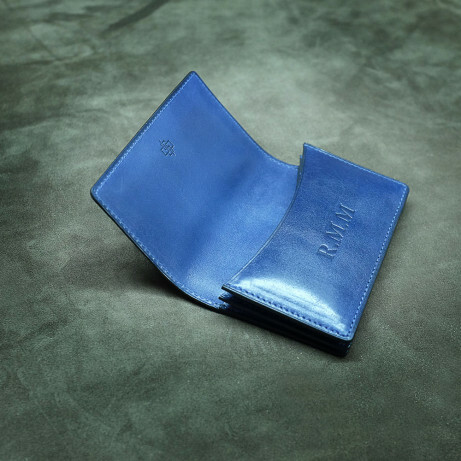 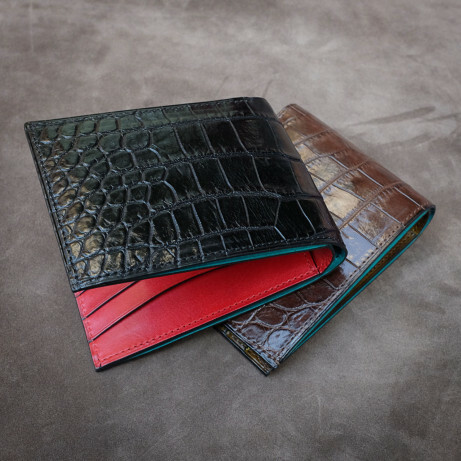 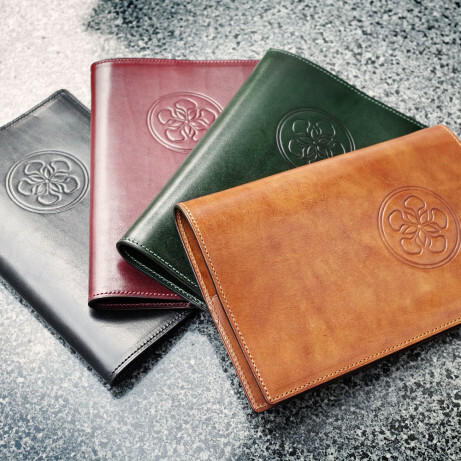 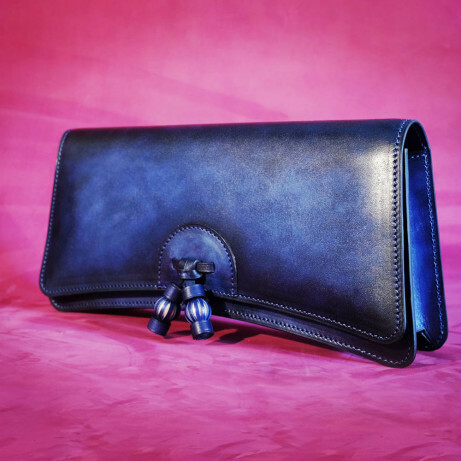 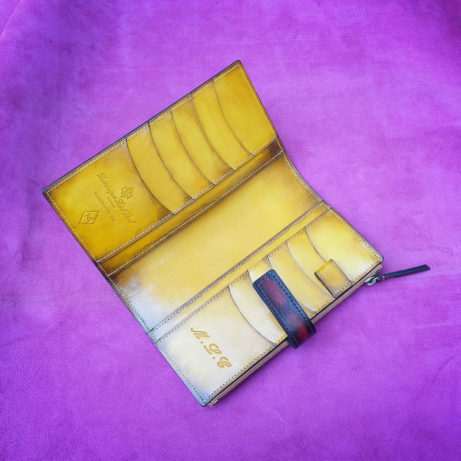 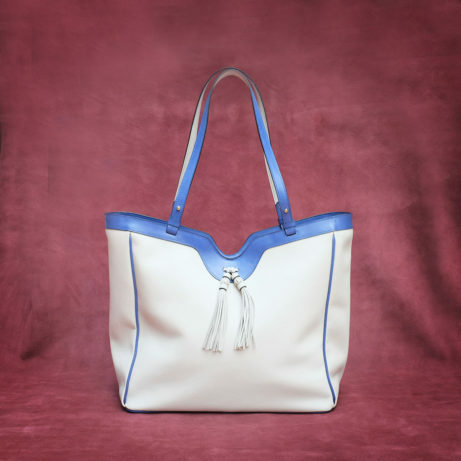 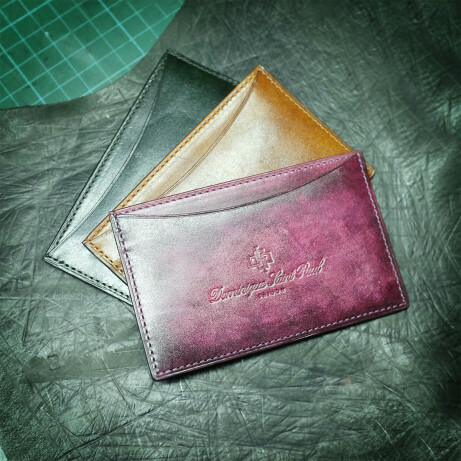 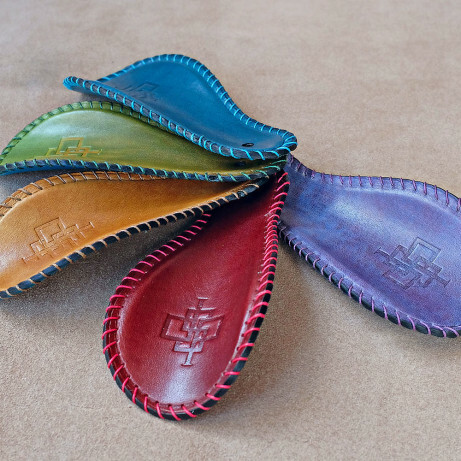 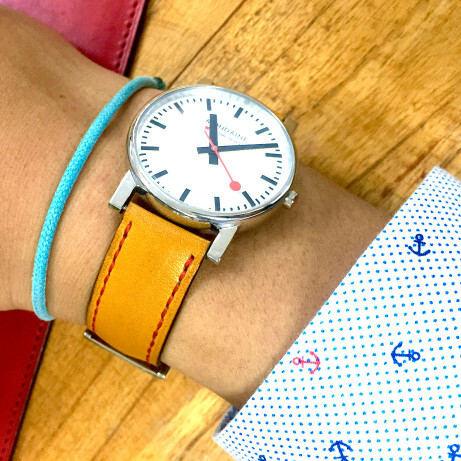 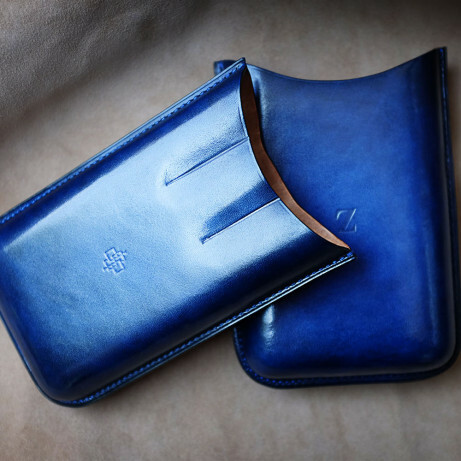 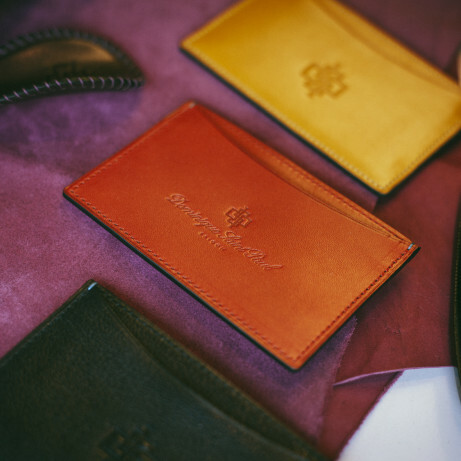 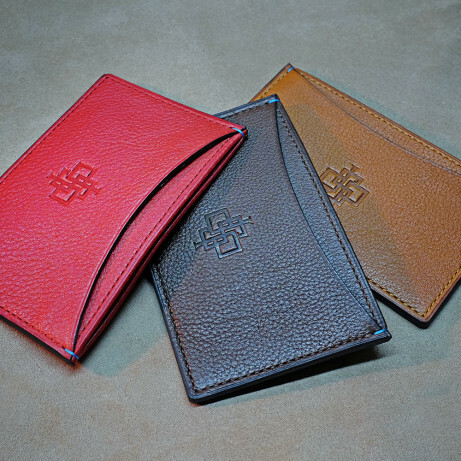 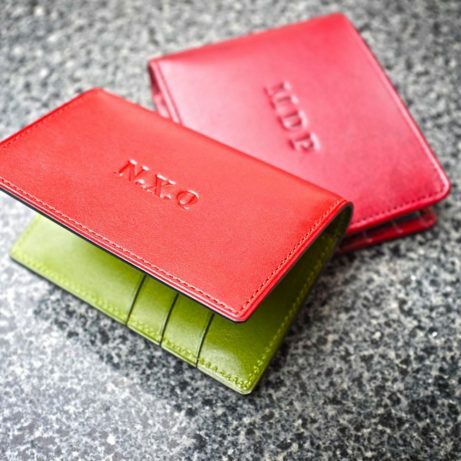 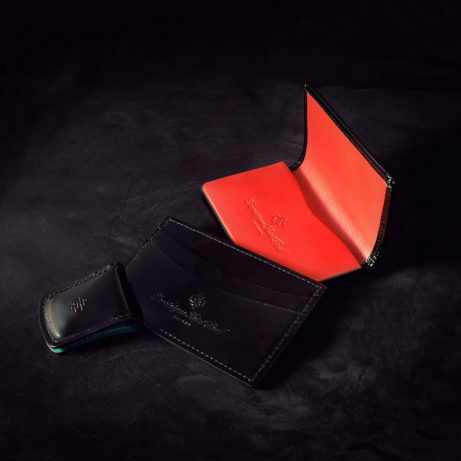 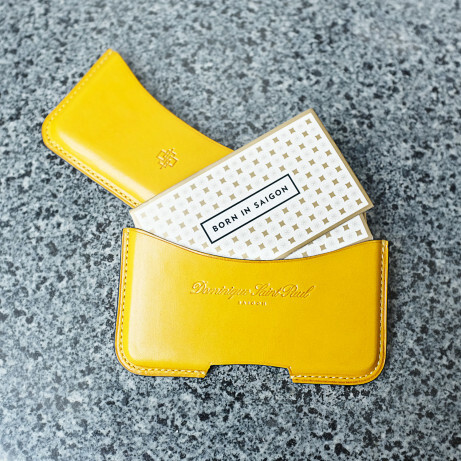 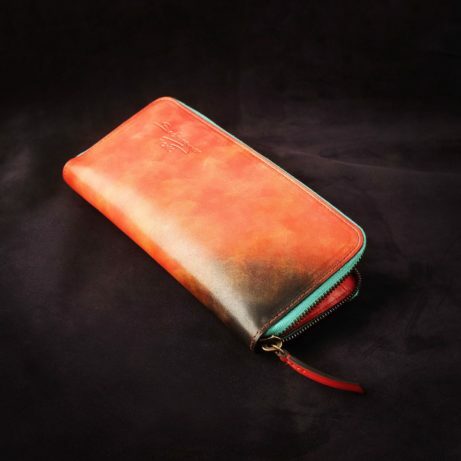 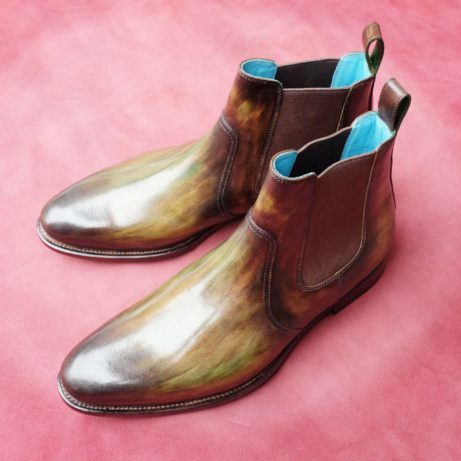 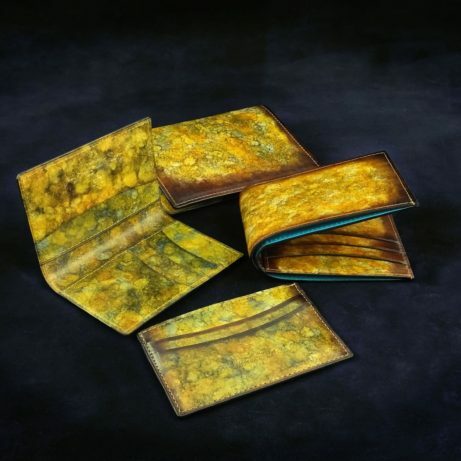 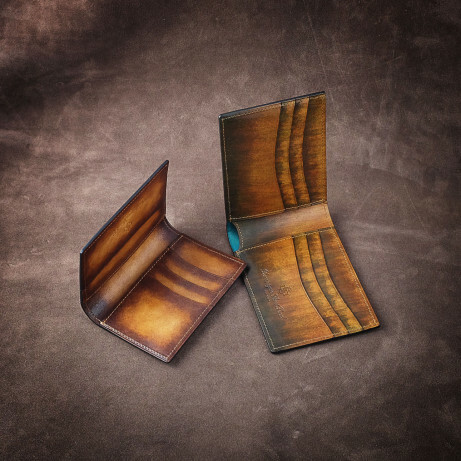 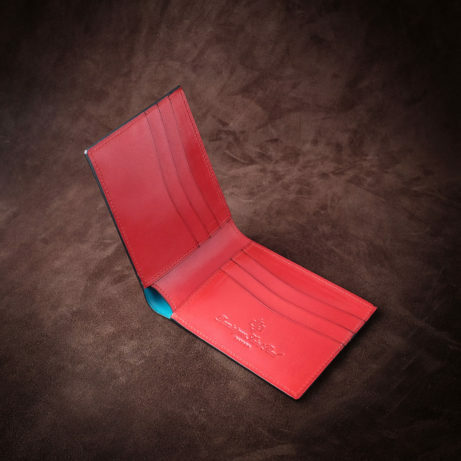 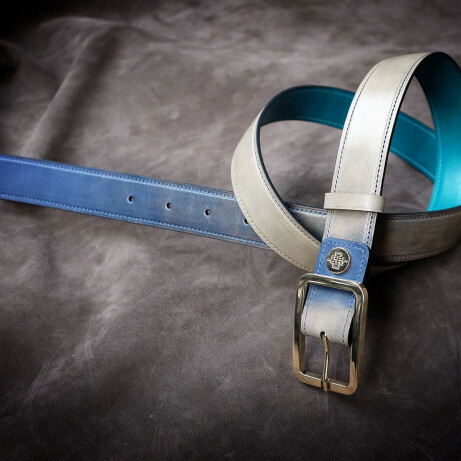 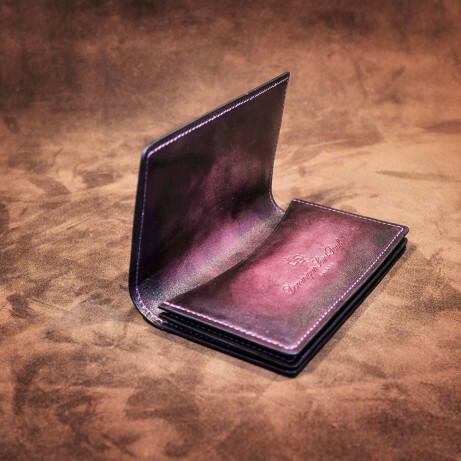 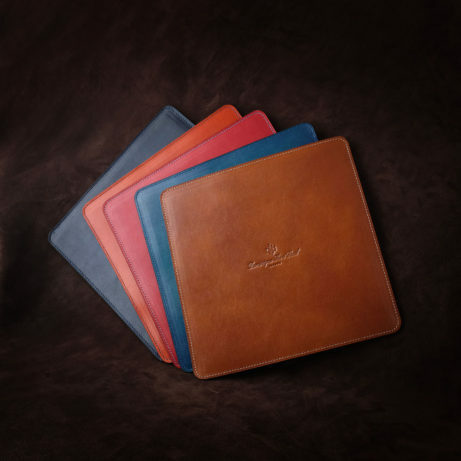 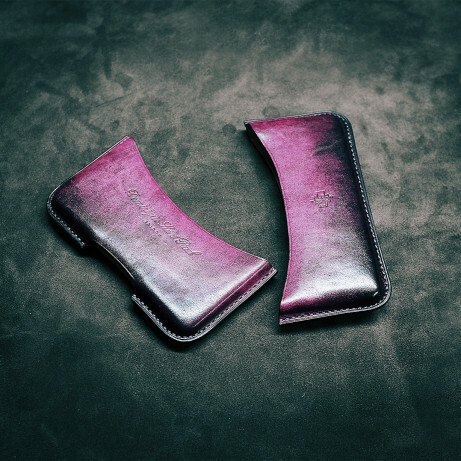 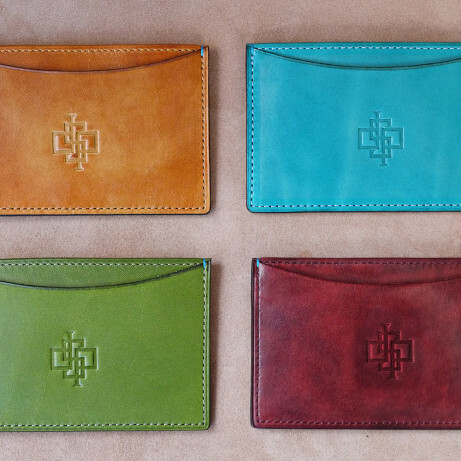 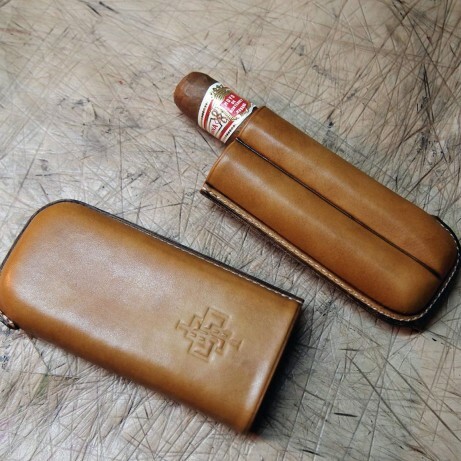 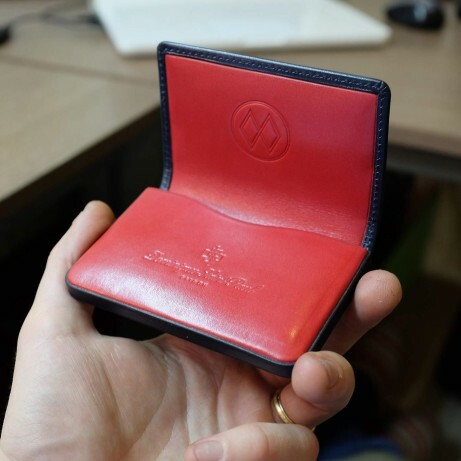 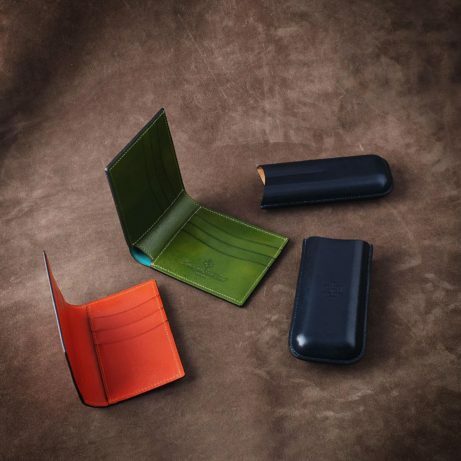 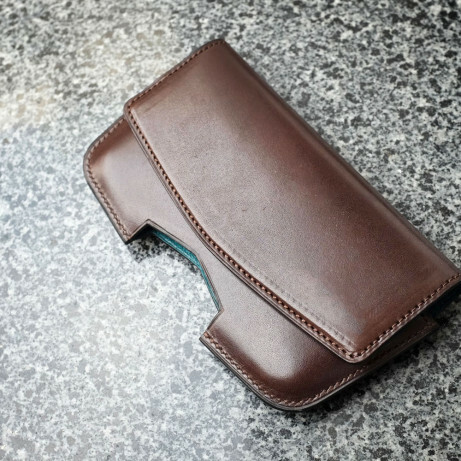 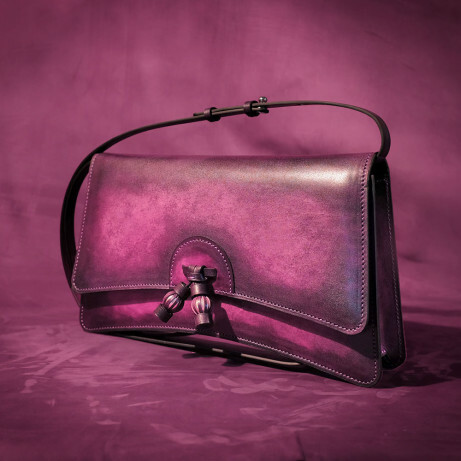 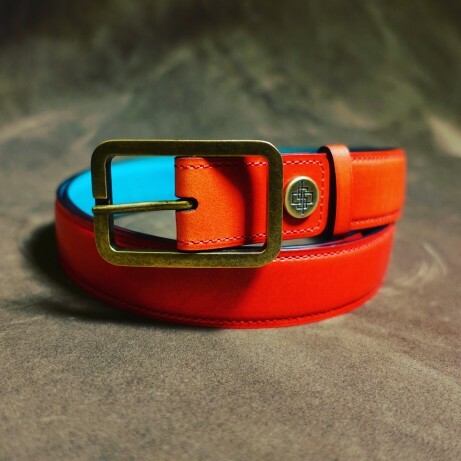 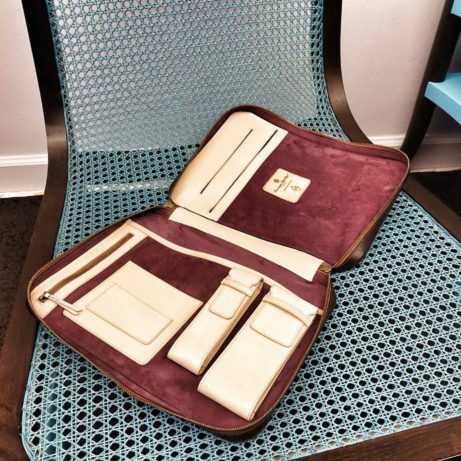 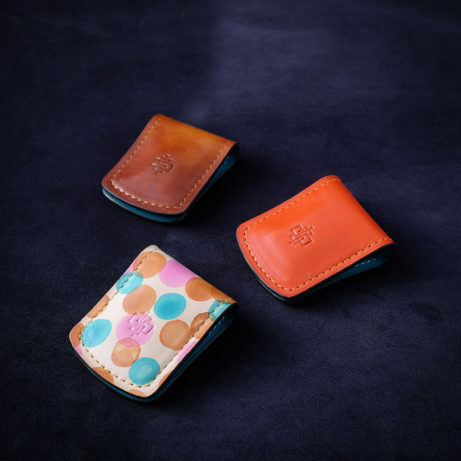 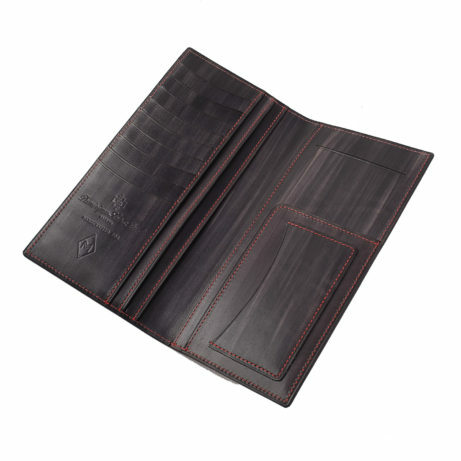 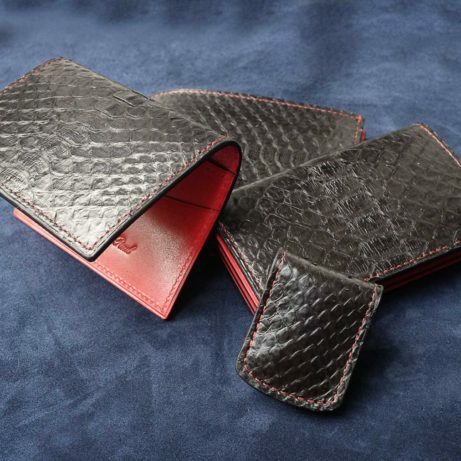 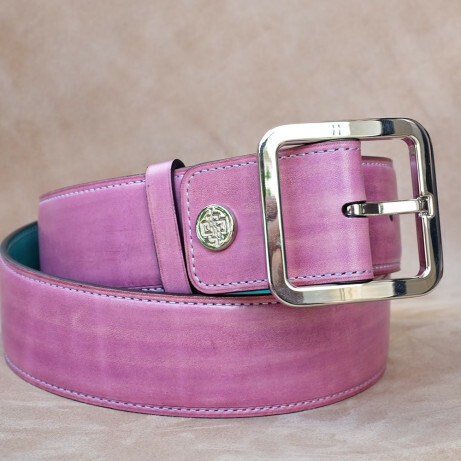 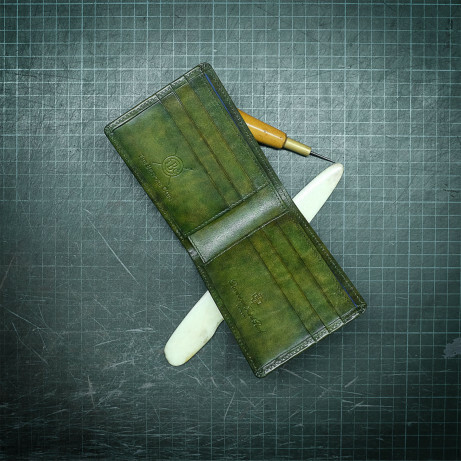 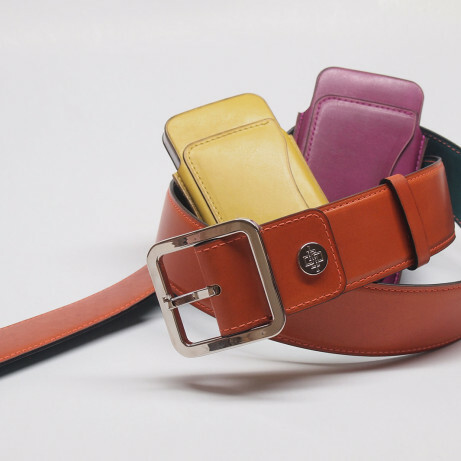 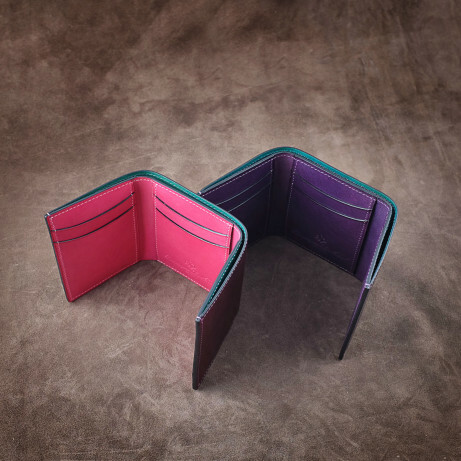 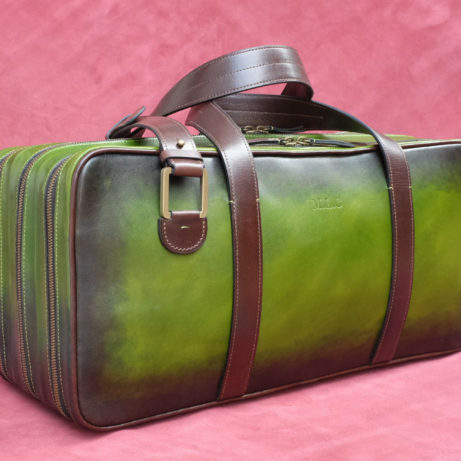 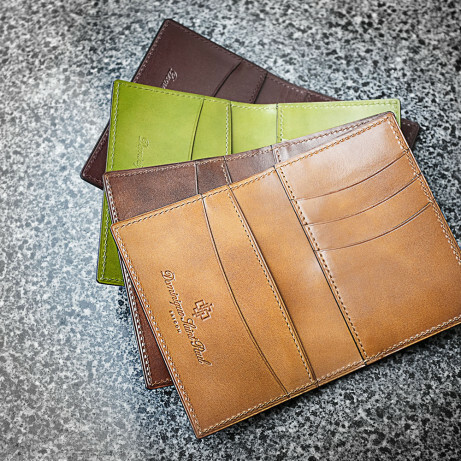 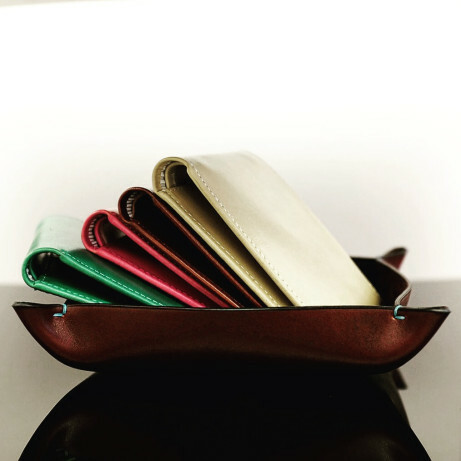 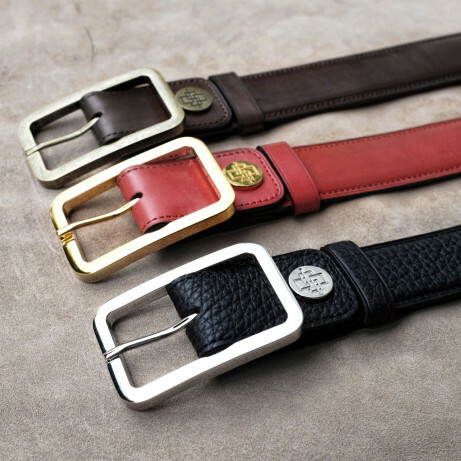 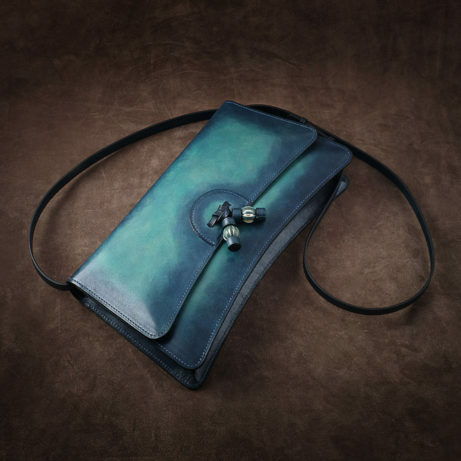 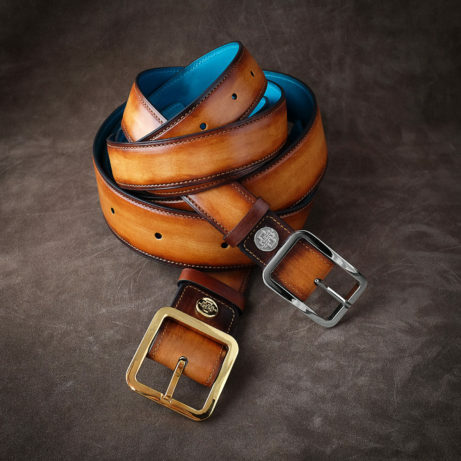 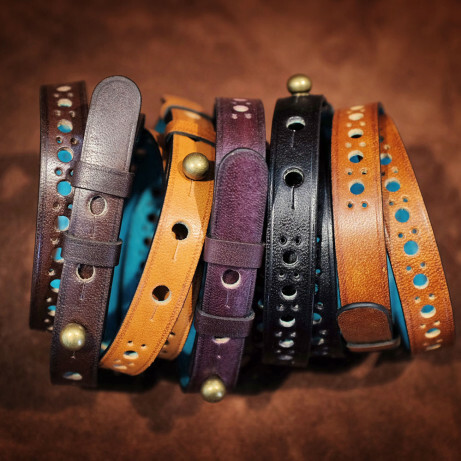 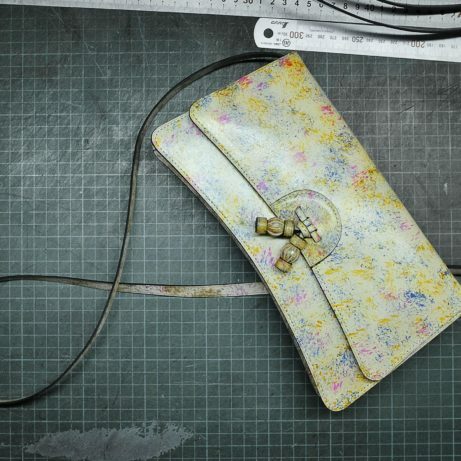 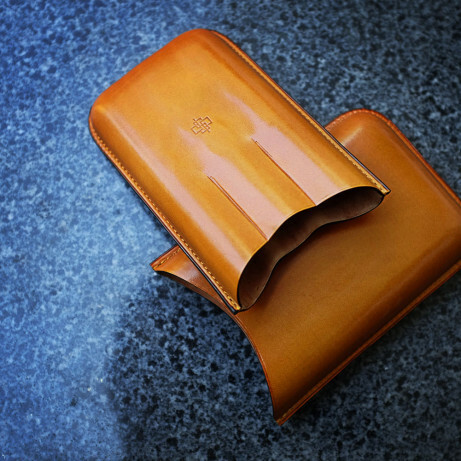 We offer both hand coloured crust leather for the uppers or suede leather. 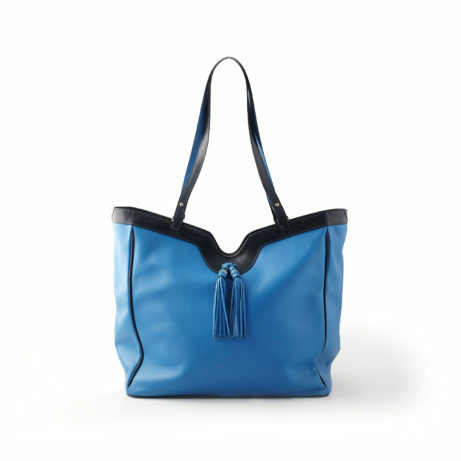 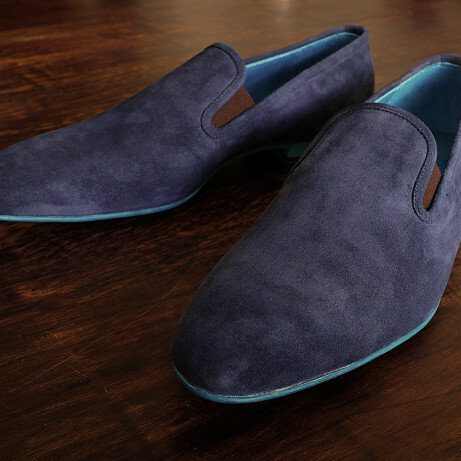 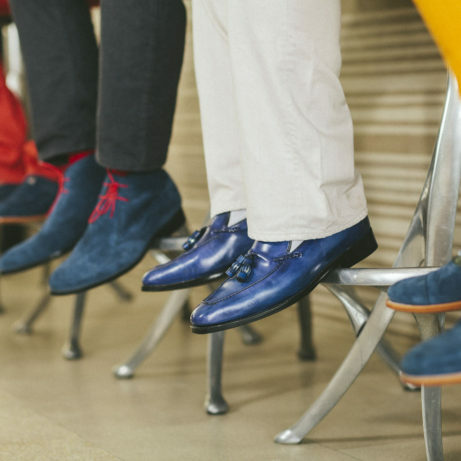 Pictured here in blue suede. 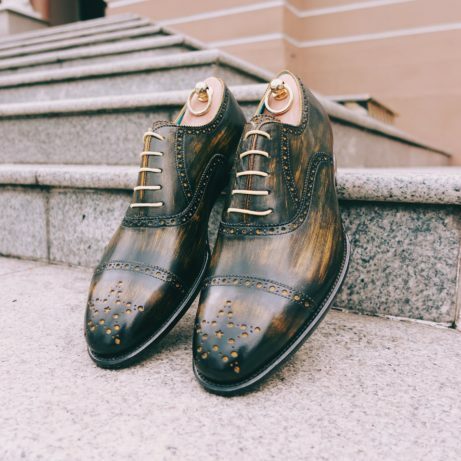 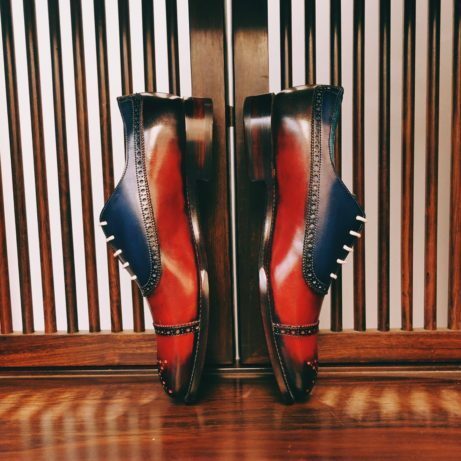 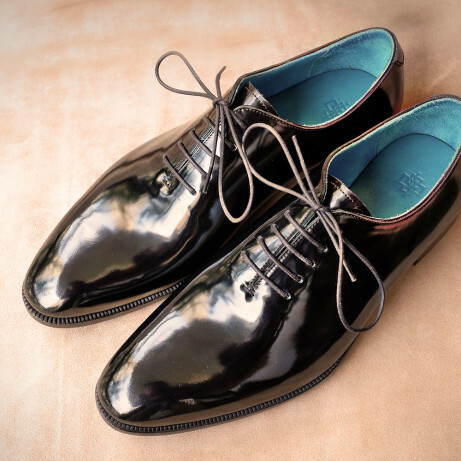 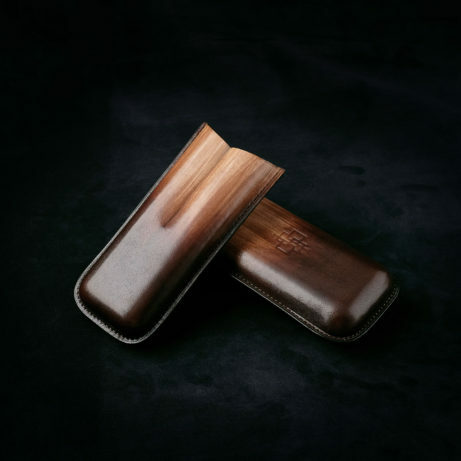 Our dress shoes are Goodyear welted construction with full leather soles and stacked leather heels, with rubber top lift gip for extra peace of mind.